Also, while you may think it totally made up, oil wrestling is actually quite real (albeit less drippy) and, known as Yağlı güreş, it is Turkey's national sport. It involves wearing tight buffalo leather pants, getting oiled up, and wrestling others while sticking your arms in their pants to try to get them down. Because of it being featured in the newest Street Fighter game (available April 27 for those interested), it has now captured the attention of millions, and may cause a wave of oil wrestling leagues. This...is something I can get behind! Remind me to buy stock in Crisco. Ok, that is kind of terrifying, though a little intriguing, to be honest...but more terrifying. And because of your evil video game agenda, you will be spreading this horror across America and across the world. Dontchya feel proud of yourself now? 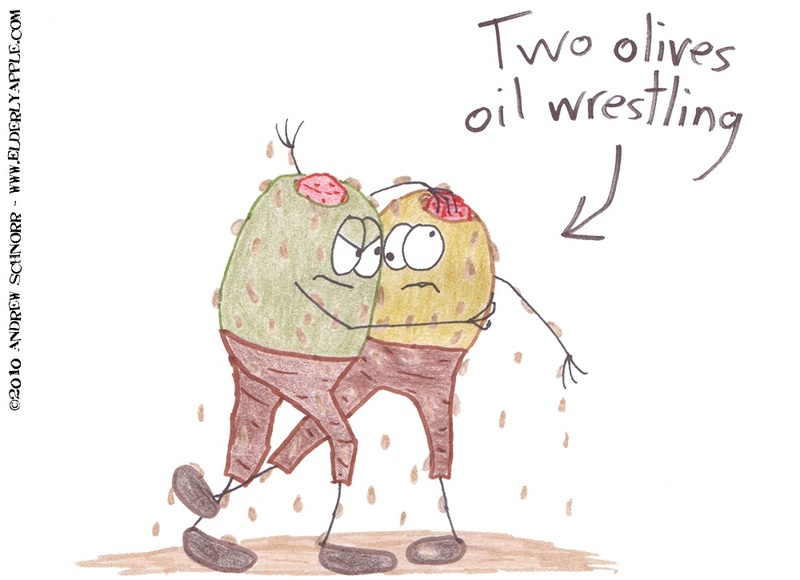 vaguely homosexual wrestling, covered in lubrication? sounds like fun! guilty fun, but fun nonetheless! There's no way those pants are staying up, hands or no hands. ...don't even think about it.